Sitting in front of my keyboard. Commenting. 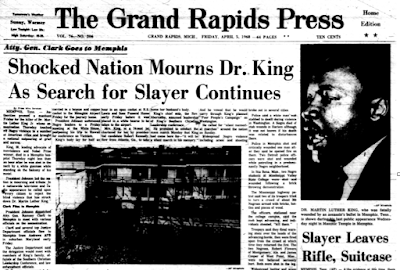 It was fifty years ago today, April 4, 1968, that the Rev. 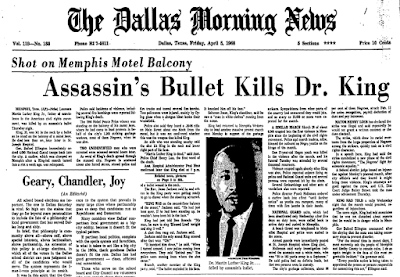 Dr. Martin Luther King, Jr., was assassinated. 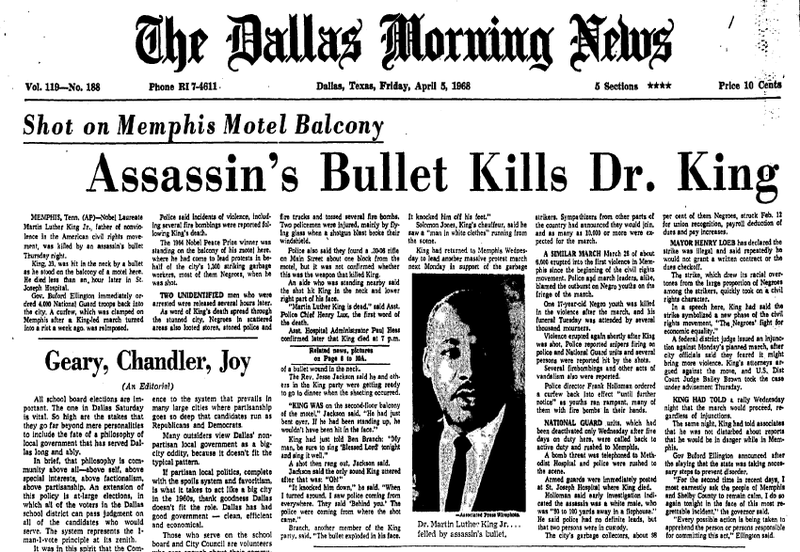 The event which shocked the nation received much news coverage. Later that evening, Robert Kennedy, who was running for the Democratic Party's nomination for President, addressed a predominantly black crowd in Indianapolis, Indiana. Standing on the back of a flatbed truck and setting aside warnings by police that they might not be able to protect him if the crowd became incensed, he shared the sad news. The night before his assassination. 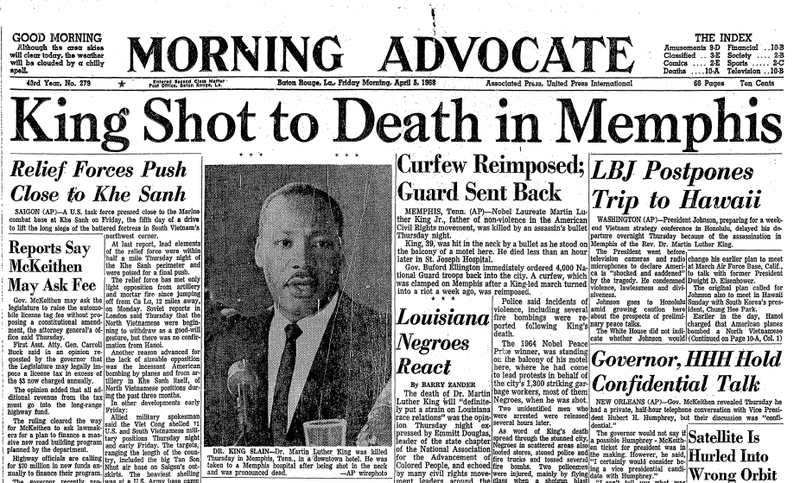 Dr. King gave what is considered to be the second most well-known speech of his life, second to his 'I Have a Dream' speech, the 'I Have Been to the Mountaintop' speech. Some have noted that his comments in this speech suggested he knew his time was short. It may have been simply knowing the stir he was causing likely made his being a target more apparent to him as time went on. 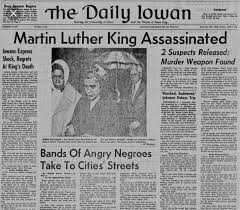 (It has been reported that Dr. King joked about his death with his aides, even commenting he would not make it past the age of forty.) 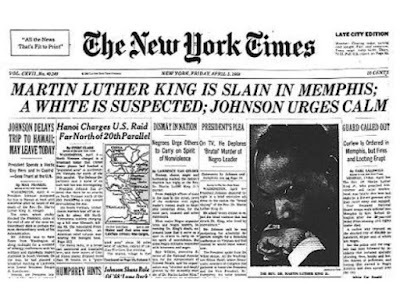 In his new book, Redemption: Martin Luther King Jr.'s Last 31 Hours, journalist and author Joseph Rosenbloom writes, "In the words to follow, King had nothing more to say about the storm [that was going on outside]. Yet you could say that the storm still had something to say to him." 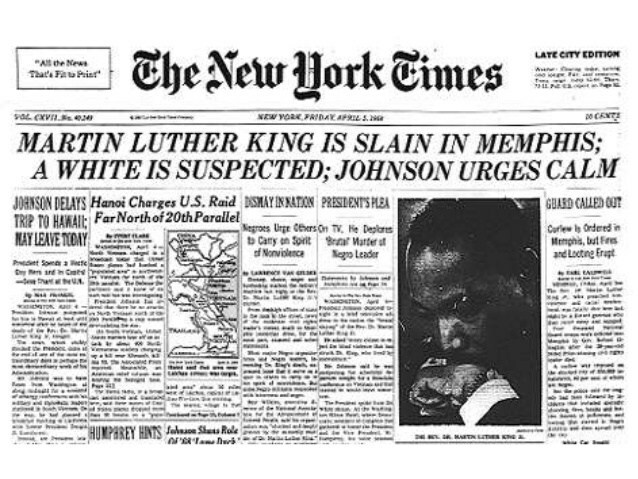 Below is his full forty-three-minute speech, delivered on April 3, 1968. 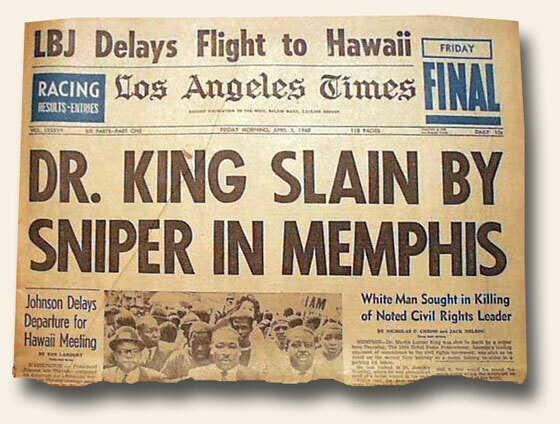 In many ways, the dream that King had has still not fully come to fruition. Long gone are the days of "Blacks Only" accommodations, mass numbers of segregated schools, and Jim Crow. Being judged on one's character, not their skin color, is seen more often. However, skin color still remains, for some, the de facto litmus test for "justified" hatred and senseless murders. It's just that the murders are now done more often with guns than with ropes. While it seems that steps are being made backwards in the past several years (i.e. senseless murders, rolling back voting rights), steps are still being made forward. 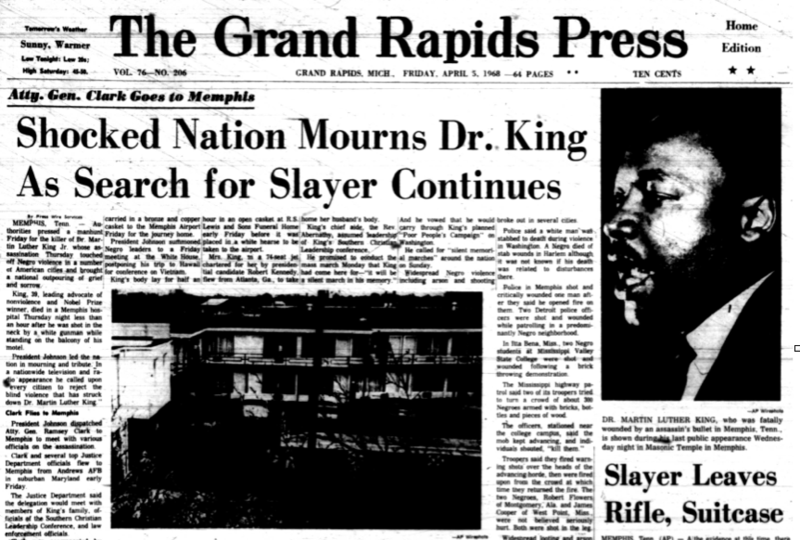 This country cannot afford and must not allow a return to a time and place that Martin Luther King, Jr., and others marched against. 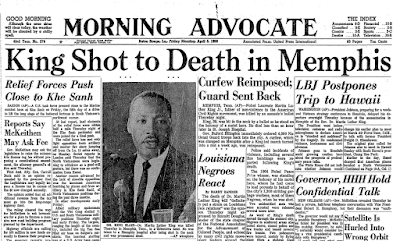 Today, we remember and honor the life of a man who wanted change so monumental that it was perceived that violence was a necessity, but who stood tall without it. 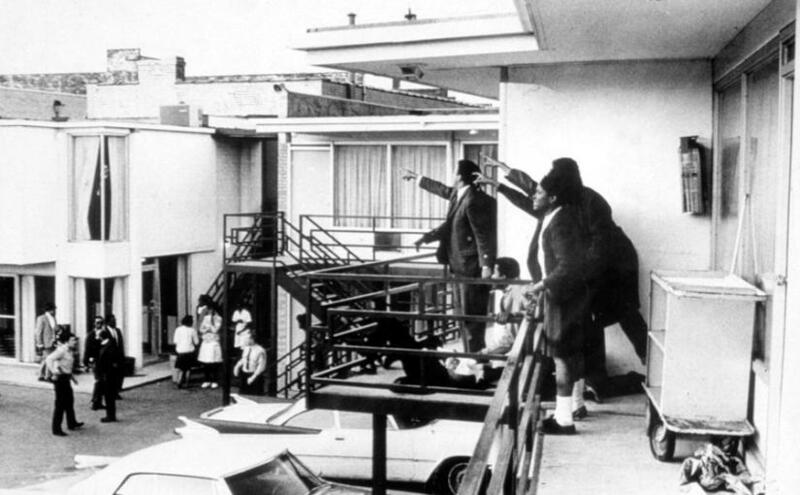 Fifty years ago, they killed the man, but they never killed the dream. A full-time student in the course of Continuing Education at the School of Life. (c) 2012. Watermark theme. Powered by Blogger.